The kenyan Government has reiterated that the 50-60 per cent pay increase for the teachers is unsustainable even after the they called off their five-week strike. Speaking on the matter, the Deputy President William Ruto, teachers should instead go back to teaching and let the Salaries and Remuneration Commission (SRC) do its work. "SRC is a constitutional body with responsibility and mandate to harmonize salaries of all Government employees from the President to an office messenger. The stand of the Government is to respect recommendations of SRC," The deputy president said. 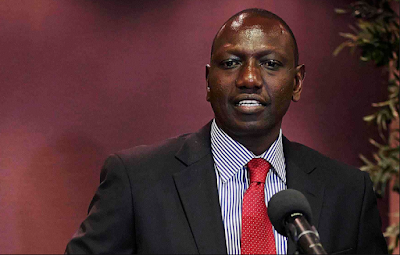 Speaking during a fundraiser in Nandi County Ruto added that all public employees were awarded their salaries accordingly regardless of the department in which they work. "We aspire as the Government to ensure all civil servants get their due remuneration in an equitable manner. A degree holder in the education sector should get equal pay to an engineer having the same qualifications," he said. Last Saturday, teachers terminated their industrial action for 90 days in respect to the ruling made by the court. However, Kenya National Union of Teachers' Secretary General Wilson Sossion mentioned that they would resume their strike if the government failed to implement their pay rise. Teachers union also demanded that the Teachers Service Commission and the Government withdraw the cases they had against them in regard to the pay row.